Home Unlabelled Kartik Aaryan and Kriti Sanon to recreate Akshay Kumar and Urmila Matondkar's famous Aflatoon track for Luka Chuppi? Kartik Aaryan and Kriti Sanon to recreate Akshay Kumar and Urmila Matondkar's famous Aflatoon track for Luka Chuppi? Another remake of a popular old classic song is on the cards. Most of the songs that are remade have been ruined and we hope this one doesn’t. The song which is being recreated is Yeh Khabar Chapva Do from Akshay Kumar and Urmila Matondkar’s film Aflatoon (1997). 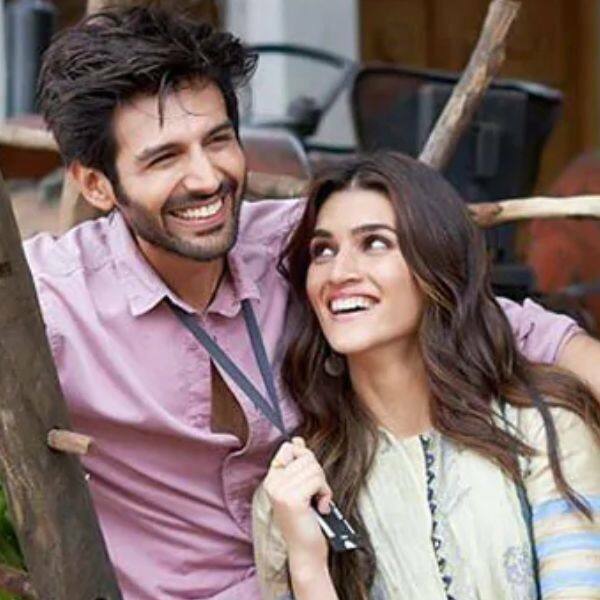 Kartik Aaryan and Kriti Sanon are bringing a new version of this chartbuster in their film, Luka Chuppi. As per a Mumbai Mirror report, the two have already shot for the song along with actor Pankaj Tripathi. “Luka Chuppi is set in Mathura with Kartik playing a television reporter, the quintessential good boy every girl wants to take home to mommy. Kriti is a local girl, who had gone Delhi to study, but has since returned to her hometown. The entire film has been shot in the North India city. But like the original song, the new version has been filmed at a lot of interesting locations in and around Mumbai,” a source from the sets informed the tabloid. As far as the track is concerned, it is being directed by Vijay Ganguly. The song features 150 dancers matching steps with the three actors. The original song was composed by Dilip Sen and Sameer Sen and penned by Anand Bakshi. Meanwhile, Luka Chuppi backed by Dinesh Vijan and directed by Laxmi Utrekar is set to release on March 1.